'Public spaces' usually makes most people think of parks. 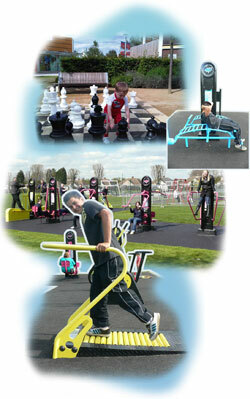 Playspaces and social areas are becoming more and more popular in lots of different outdoor arenas. Magical can demonstrate this in the creative invention of the Magic Alley case study and we would encourage you to take a look. We are able to offer a consultative project management approach which has been well received by our customers. Magical can offer a solution to any public area whatever the age group or activity from playground markings to play equipment. The public wants safe places to meet, playspaces to play and what about an outdoor gym? Magical has the solution and the experience.